Short of discovering the proverbial and illusory fountain of youth, the options for halting the aging process haven’t looked too promising. You could make a pact with Lucifer, become a vampire, go under the knife, or you know, get Botox. And though Frozen is now one of the most popular films of all time, it’s not how you want to look. But thanks to advancements in technology and some little-known secrets, there are plenty of effective ways to get truly younger-looking skin—without fillers, surgery, or signing your soul away. And we’ve got everything you need to know about them, in one handy guide. Flip through for your handbook to younger-looking skin. Laser therapy is perhaps the most effective non-surgical option for getting more youthful-looking skin on the whole. “Fractionated resurfacing lasers like Fraxel can improve tone and texture,” explains Joshua Zeichner, MD, director of cosmetic and clinical research at the Mt. Sinai Department of Dermatology. “With a week of a sunburned appearance afterward, you can even out dark spots while minimizing pores and improving skin texture,” he says. These fractional lasers, the most popular of which is the Fraxel Restore, are considered ablative, which means they damage the top layer of skin to stimulate the skin’s natural healing process. This promotes the production of collagen, which results in healthier, younger-looking skin. Fraxel Restore is clinically successful for reducing the appearance of fine lines, treating acne scars, and the improving overall skin texture. The Fraxel Repair is the non-ablative version, which means the top layer of skin is not wounded, for faster healing. Recently, the FDA approved a combination of the two technologies (the Fraxel Duo), which improves fine lines, wrinkles, and pigmentation without the weeklong recovery of the Fraxel Restore. “In my office, I often use lasers such as the Affirm, which combines two wavelengths of light to stimulate new collagen production and remove the top layers of dead skin,” says Jessica Wu, MD, a top cosmetic dermatologist in Los Angles. “It’s a fractionated laser, so it delivers the laser light in tiny dots (the Fraxel is in the same category), and it leaves normal skin in between the dots, so there’s no blistering or scabbing. The result is that you look smoother and fresher after a few days,” she says. Microcurrency treatments involve gentle electrical stimulation to penetrate the deepest layers of the skin, catalyzing collagen and elastin production for overall toning and firming. Studies have shown that microcurrent facials increase collagen production by up to 14%, elastin by 48%, and blood circulation by 48%. Part of the improved muscle tone, firmness, and cellular activity means tighter pores, reduced fine lines and wrinkles, and less puffiness. Radiofrequency therapy generates heat to tighten loose skin—and as such, it's a great option for a non-face-lift face-lift. These devices work by sending heat deep into the skin, which causes tissue tightening and collagen formation. “For tightening the lower face and jawline, my favorite treatment is the ePrime,” Wu says. “Clinical trials show that it produces about 35% the skin tightening effect of a face-lift, non-surgically. It uses a row of fine needles to deliver the radiofrequency underneath the skin, to the deeper levels where the collagen sits. There is typically no crusting or scabbing, as with lasers. It takes one-and-a-half hours to do the treatment, and patients are swollen for seven to 10 days, but my patients have been thrilled with the results,” she says. Though patients can opt for a mild sedative to be more comfortable in the process, “no recovery is needed afterward, and you can return to your normal daily activities immediately after the procedure,” Frank says. There are various devices for micro-needling, Dermapen being one of the most popular. It looks like a roller pen and yields results in a similar fashion to how lasers work—the points of the micro-needle pen stamp over skin, microscopically puncturing skin, which the body responds to with an increase in collagen production meant to heal the perceived injury. LED (light-emitting diode) is a completely non-invasive type of light therapy that works by interacting with the skin’s cells to stimulate rejuvenation through increased collagen, which in turn results in a reduction of lines and wrinkles, faded scars, diminished age spots, smaller pores, and overall more even skin tone. It’s most often administered via single-light units or formations of panels, but Vargas actually patented the first LED bed for her New York City salon (it looks like a tanning bed but is made entirely of red LED lights), so you can reap the benefits all over your body versus just the face and neck. The bed has been featured in Vogue, and clients call it “the time machine.” “It’s sort of like having a magic wand. It corrects fine lines, wrinkles, sun damage, and acne scars, all over. After a few sessions, you see stretch marks and cellulite fade by thickening the skin with additional collagen,” Vargas says. Cosmetic acupuncture is another less invasive way to tighten sagging skin and enhance overall tone. It helps to strengthen the muscles below the skin for a more taut appearance and increases blood flow to these tissues for collagen production. Like micro-needling and lasers, it works because the minor trauma from the insertion of the needles signals the body to create collagen, resulting in a more elastic and youthful appearance. To read more, check out our beginner’s guide to acupuncture. And do not underestimate the power of nighttime repair with retinol. “Nightly use of this powerful vitamin A derivative can stimulate collagen and keep the skin youthful and elastic while minimizing fine lines,” Zeicher says. “Nighttime is the best time to use products to refine the skin and encourage cell turnover, while the body is at rest,” Frank echoes. Frank also recommends using a Clarisonic ($99) for cell turnover. “At-home exfoliation encourages cell turnover, which in turn will reduce pigmentation to help fade age spots. 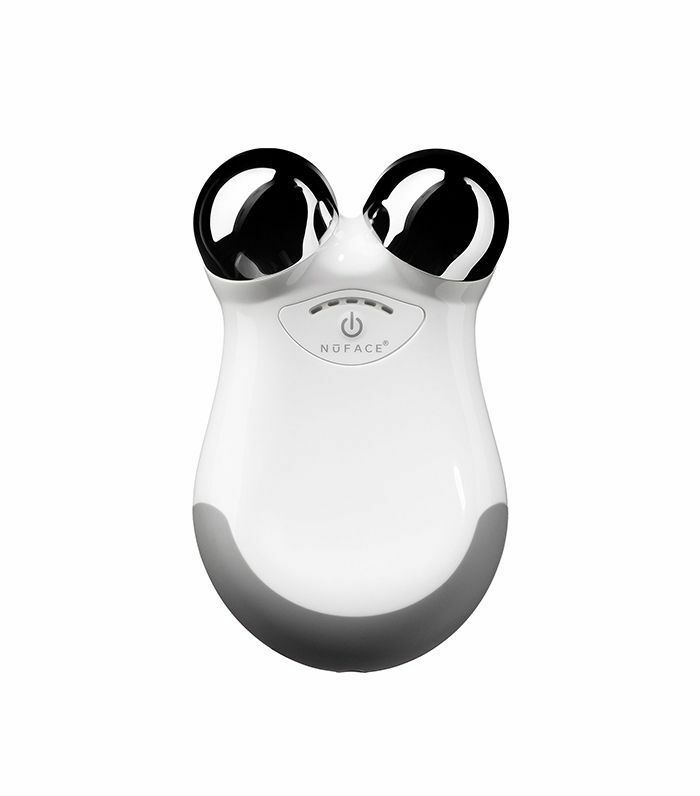 I recommend using the Clarisonic daily in conjunction with a spot treatment,” he says. Next up: Is the phrase “anti-aging” actually problematic?